Fr. Hardon invites us to meditate upon the Annunciation, which is celebrated on Mar 25. It is the same Gabriel that announced to Zachary that Elizabeth, in her old age, would conceive and bear a son. Given the magnitude of this great mystery of the Annunciation, I thought we should have three meditations on the angelic Annunciation to the Blessed Virgin Mary. The first one will be on the angelic salutation. The second will be on the angelic prediction. And, the third will be on the angelic explanation. If any event in Sacred Scripture deserves three prayerful meditations, it is surely the Annunciation. This event changed the whole course of human history. Better, this event was the culmination of human history. We are told by the fathers of the Church, God becoming man was more important than God creating man. We should say that before God took on a human habitation in Mary’s womb, the Almighty was indeed present because He is God. He is present because He is God everywhere in the world He made. The moment He became incarnate, God became present as the God-man, and having instituted the Holy Eucharist on Holy Thursday night, from the Annunciation through the Last Supper, God has decided to remain on earth as the God-man in the Blessed Sacrament until the end of time. The rest of Fr. Hardon's meditation can be found on The Real Presence. 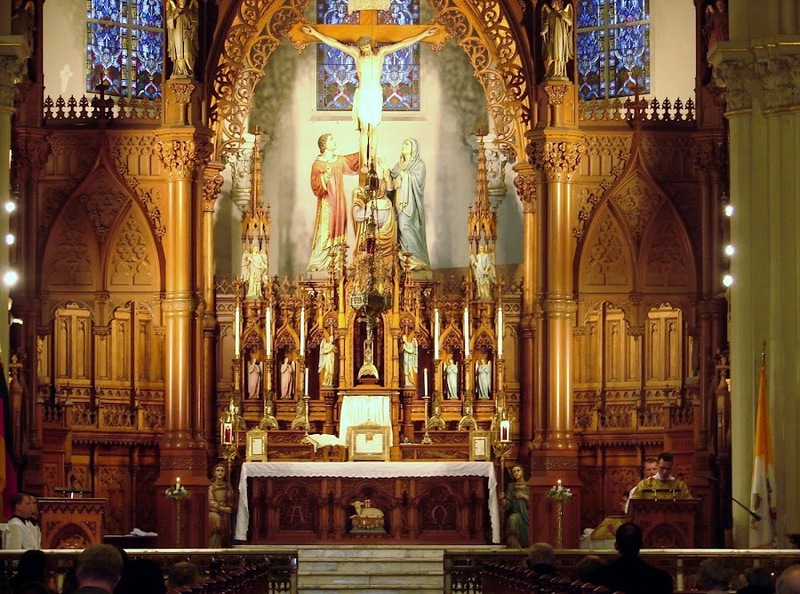 St. Stephen will offer a Latin Mass on Saturday, Mar 25, at 10am. A Friend of the TLM wants to pass along this good news. Sunday, March 26th, 2017 at 11:30 – 12:30. St. Sebastian's Church, Akron, Ohio at Zwisler Hall. A question and answer panel discussing the Traditional Latin Mass. Bring your questions about the TLM. Feel free to stay for Confession and Rosary in the church just prior to 1 p.m.Mass. 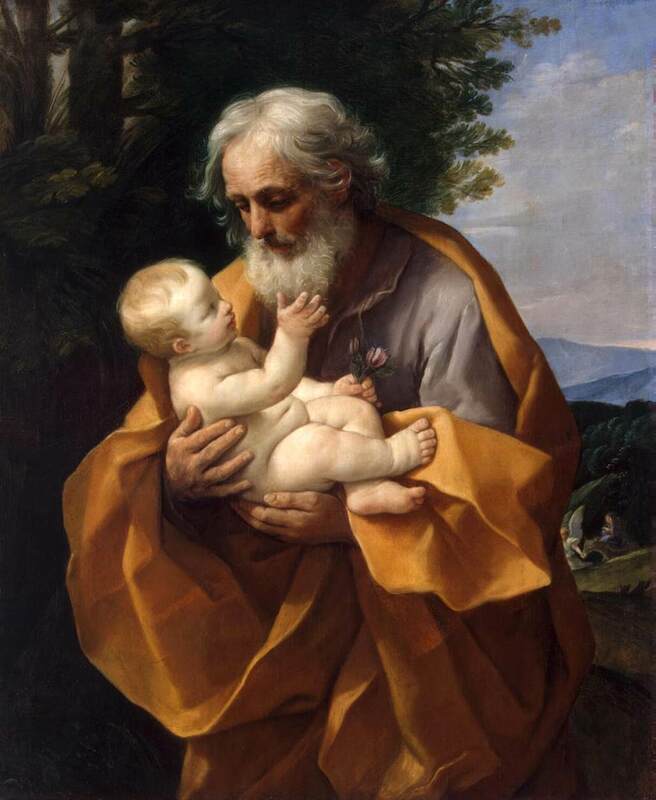 Today, Sunday, Mar 19, is the actual feast day for the foster-father of the Redeemer, Glorious St. Joseph. As it is a Sunday in Lent, St. Stephen Church is going to observe his feast on Monday, Mar 20, with a Latin Mass at 6:30pm. "This prayer was found in the 50th year of our Lord and Savior Jesus Christ. In 1505, it was sent from the pope to Emperor Charles when he was going into battle. Whoever shall read this prayer or hear it or keep it about themselves shall never die a sudden death or be drowned, nor shall poison take effect on them—neither shall they fall into the hands of the enemy or be burned in any fire or be overpowered in battle. Say for nine mornings for anything you desire. It has never been known to fail, provided that the request is for one's spiritual benefit or for those whom we are praying for."